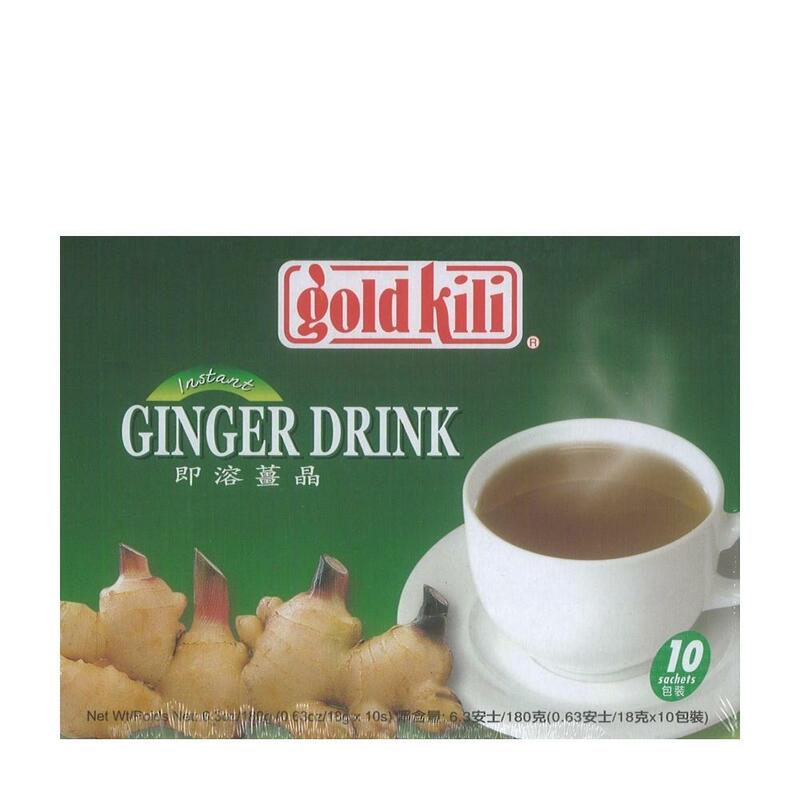 Minimum quantity for "Gold Kili Instant Ginger Drink (10 sachets x 18g)" is 1. Ginger , Glucose, cane sugar , Honey and Fructose. This product is produced in a factory which uses wheat, oats, barley, milk products ingredients. Instant Ginger Drink is made using top grade ginger and honey to give a refreshing feeling when consumed. Modern and hygenic manufacturing techniques are used to preserve the natural taste , goodness and fragrance. It is an ideal drink for everyone. Add one scahet of instant ginger drink to hot water (250ml), stir and serve instantly. For variety, add instant ginger into tea, milk or serve with ice.